Arianespace announced Friday a contract to launch Inmarsat’s fifth Global Xpress satellite toward a perch in geostationary orbit aboard an Ariane 5 rocket in the second half of 2019. 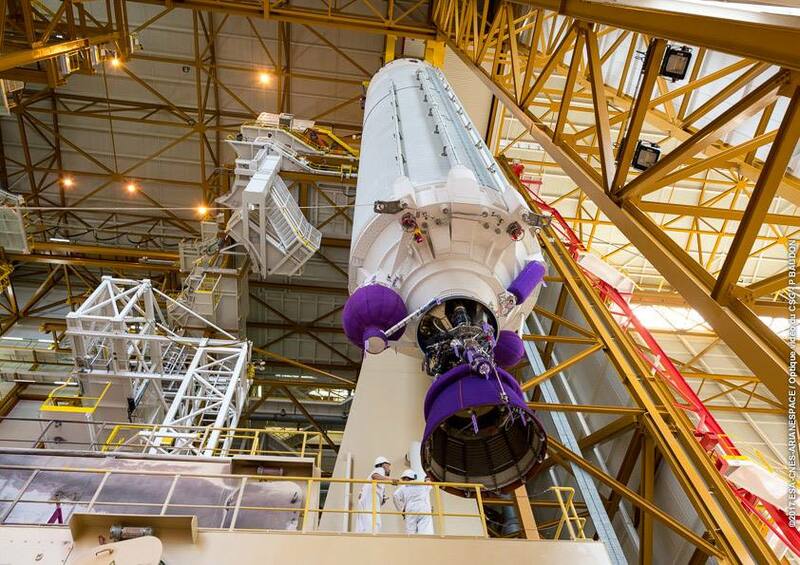 The French launch services provider said Monday it has also reached an agreement to launch the Embratel Star One D2 communications satellite on an Ariane 5 mission in 2019. 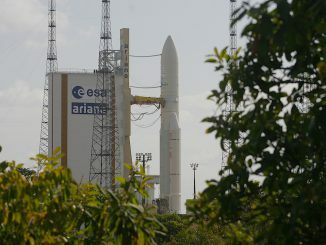 Arianespace typically pairs two satellites — a large communications craft and a medium-sized one — to launch together on Ariane 5 missions. But managers do not finalize firm launch assignments until closer to liftoff, so each satellite’s co-passenger has not been confirmed. Inmarsat’s fifth Global Xpress satellite, called GX-5 for now, will be built by Thales Alenia Space in Cannes, France. Inmarsat and Thales announced the $130 million satellite order in June. The GX-5 satellite will add capacity to Inmarsat’s Global Xpress service, which currently includes four geostationary satellites more than 22,000 miles (nearly 36,000 kilometers) over the equator to provide worldwide connectivity for airplanes, ships and other customers on-the-go. 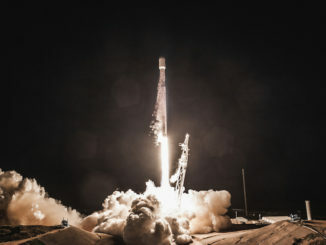 Three previous Global Xpress satellites — also known as the Inmarsat 5-series — launched on International Launch Services Proton rockets from Kazakhstan, and one flew on a SpaceX Falcon 9 booster from Cape Canaveral. Hosting 72 Ka-band beams and a very high throughput payload, GX-5 will cover the Middle East, Europe, and the Indian subcontinent. 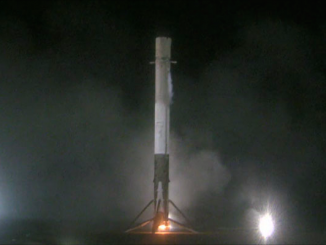 The satellite will weigh about 4 metric tons (8,818 pounds) at launch and will have a design life of 16 years. “With this new launch contract, we are very proud to continue our partnership with Inmarsat that dates back to 1981,” said Stephane Israel, Arianespace’s CEO. “We are honored to have been selected for the 10th time by Inmarsat for the launch of the very high throughput satellite GX-5, only four months after we successfully launched the Hellas Sat 3-Inmarsat S EAN ‘condosat’ with an Ariane 5. “This renewed trust demonstrates the outstanding performance and reliability of our heavy-weight Ariane 5 launch vehicle, as well as its ability to respond to new broadband and in-flight connectivity demands today, even before the arrival of our new Ariane 6 heavy-lift launcher,” Israel said in a statement. The Embratel Star One D2 satellite will also be launched by an Ariane 5 rocket in 2019. Space Systems/Loral, based in Palo Alto, California, said in a press release Monday that it has been selected to build the spacecraft, which is expected to weigh around 6.2 metric tons (13,668 pounds) at liftoff and operate at least 15 years. 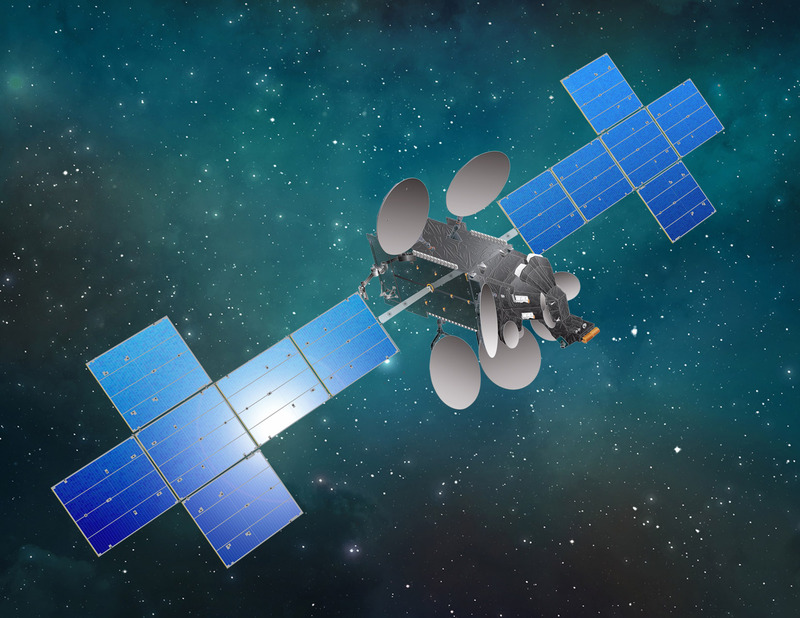 Star One D2 will be a multipurpose communications satellite with Ku-, Ka-, C- and military-grade X-band transponders. It will provide direct-to-home television broadcasts and high-speed Internet to South America, Mexico, Central America, and parts of the Atlantic Ocean. Star One D2 will also support Brazilian government communications needs.